Harvest cottage is spacious and the dining area enables 16 people to eat together. Short breaks are welcome, except at Christmas and New Year where all three cottages have to be booked together for 7 nights (price on application). Ample parking is adjacent to the cottages. 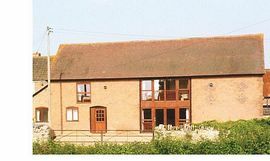 The cottages are situated in beautiful countryside. There are pleasant walks on lanes and footpaths in the area. There are a couple of pubs within a 2 mile walk. The cottages are ideally situated for Cheltenham Race Week, the Upton Jazz Festival and the Three Counties Show. Other local activities include fishing lakes, a golf course, horse riding and boat hire in the area. The towns of Upton upon Severn, Gloucester, Cheltenham, Malvern, Ledbury, Worcester and Tewkesbury are all within easy reach, and the Forest of Dean, with its many tourist attractions, is also nearby. Leave the M50 at Junction 2 and take the A417 towards Gloucester. After about 5 miles, you enter Staunton village and come to a mini roundabout. Take the B4213 signed Tewkesbury, after 1 mile at the T junction, turn left onto the B4211 and then take the first left signed Eldersfield. The cottages are three quarters of a mile on the right. 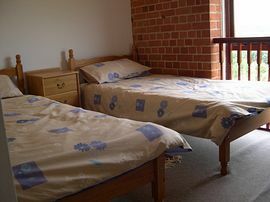 £50.00 refundable security deposit per cottage. Shire Horse cottage: Low season £421.00 per week. 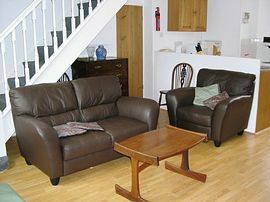 Shire Horse cottage: High season £485.00 per week. Shire Horse cottage: Low season £336.00 per short break. Shire Horse cottage: High season £388.00 per short break. 7 night bookings start on Fridays.